Talking to Andrew Wessen, guitarist and vocalist from American indie-folk pop-rainbow band Grouplove, is like talking to an old friend. It doesn’t feel like a phone interview between an amateur music journalist and a highly successful musician. It feels like a fun chat, we’re laughing and reminiscing. After we joke about Wessen’s inability to say ‘Melbourne’ in an Australian accent, I ask him what he’s been enjoying about Grouplove’s February tour through our east coast. Wessen doesn’t believe me when I say I would go to a four-hour Grouplove set, and, to be honest, I don’t know if I believe me either. But, when we start talking about the idea of a mid-set snack break, I think we’re both on board. 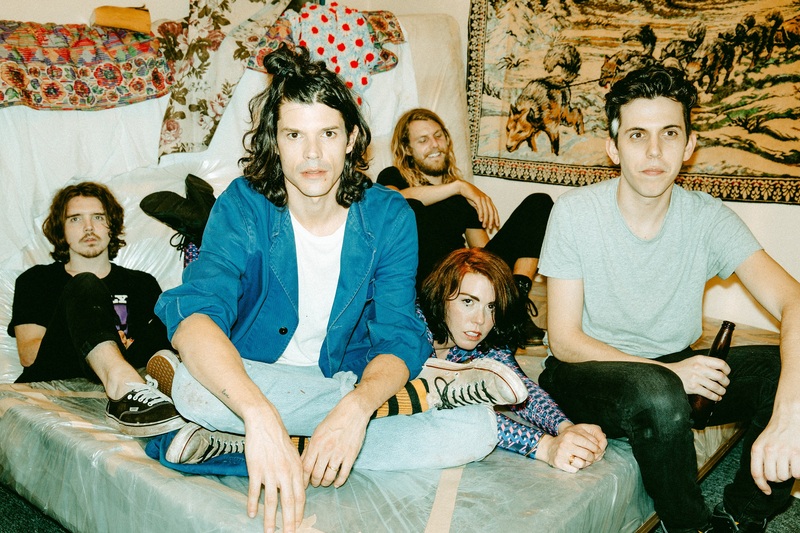 Grouplove is inspiring in their fearlessness to explore new things, combining fashion, drawing, painting and dance into all their musical creations. When Wessen confirms their silver docks are from outer space everything makes sense. Grouplove are beautiful, colourful aliens. Jayne is a melodica-playing, hummus-eating, fun-chasing skater girl who is constantly torn between her identities as a full-time International Security Studies student and a peace-lovin' musician trying to spread the love. Often seen sitting at the misc writer's desk on the O'Connor bike path, or running through Dickson Woolies for snacks at 11:50pm, Jayne is a lover of anything that intersects music, Canberra, and food.